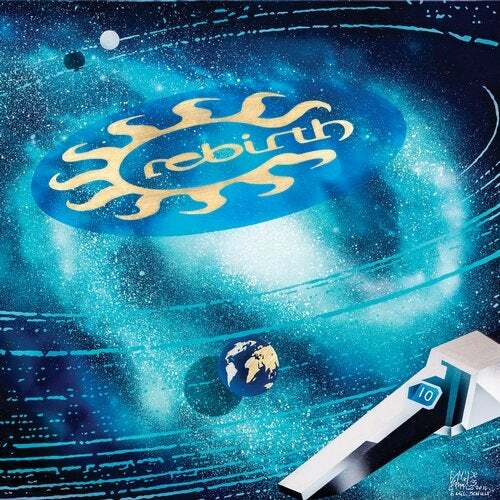 Last year Rebirth Records celebrated 10 years with the release of the acclaimed compilation selected and mixed by Larry Heard. We are now happy to present 'Rebirth 10 Remixed': a special collection, available on a limited 2x12 vinyl edition, and three digital parts, including brand new versions of some of the classics of the label in the first ten years. The first part includes remixes from Red Axes, Rampa, Modular Project and VVV. The hot Tel Aviv duo Red Axes bring their trademark new wave sound to a tropical dimension remixing Robytek's 'Luna Africana' combining unusual melodies of bells, chimes and perc drums. The Keinemusik boss Rampa is back with a killer remix of 'Deep Musique' by Pasta Boys Feat. Osunlade, definitely another dancefloor peak time cut on Rebirth. The italian duo Modular Project add their electronic-balearic touch to the Blond:ish vocal anthem Wizard of Love, while the misterious bass producer VVV reworks another classic on the label, Crossroads by T-Polar, giving us a sublte but heavy deep and futuristic synth work. The cover sleeve is a work by Emil Schult, who has created a painting especially for the Rebirth's Anniversary. Emil is known for his work with electronic music pioneers Kraftwerk. Schult's collaboration with founders Ralf Hütter and Florian Schneider saw him actively involved in writing lyrics as well as generating the design for some of the band's most famous covers.